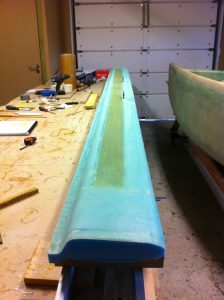 2012-05-20: Removed the peel-ply on the spar-cap, sanded some bumps and dried epoxy. 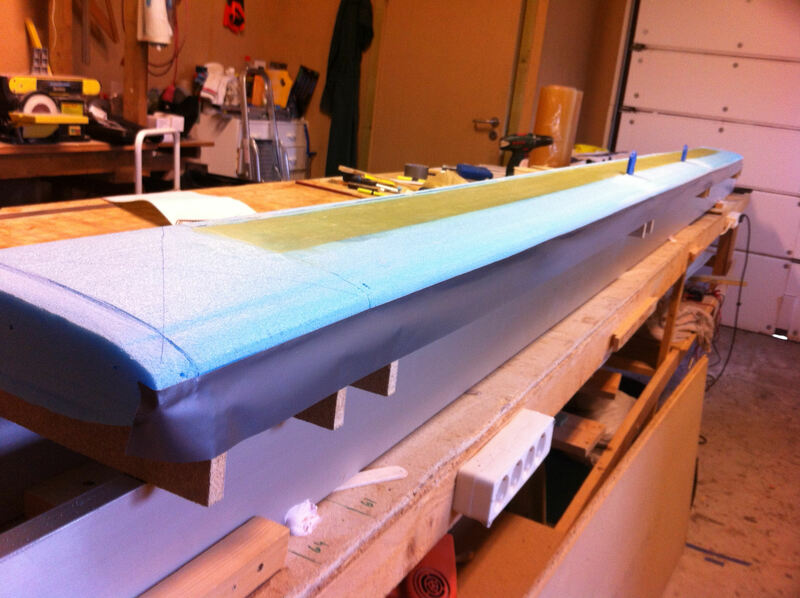 Sanded a 1″ wide depression on each tip where the canard-tip is to be taped on later. Stapled a 1″ wide strip of peel-ply to the trailing edge. 2012-05-20: Added a piece of duct-tape to the leading edge. 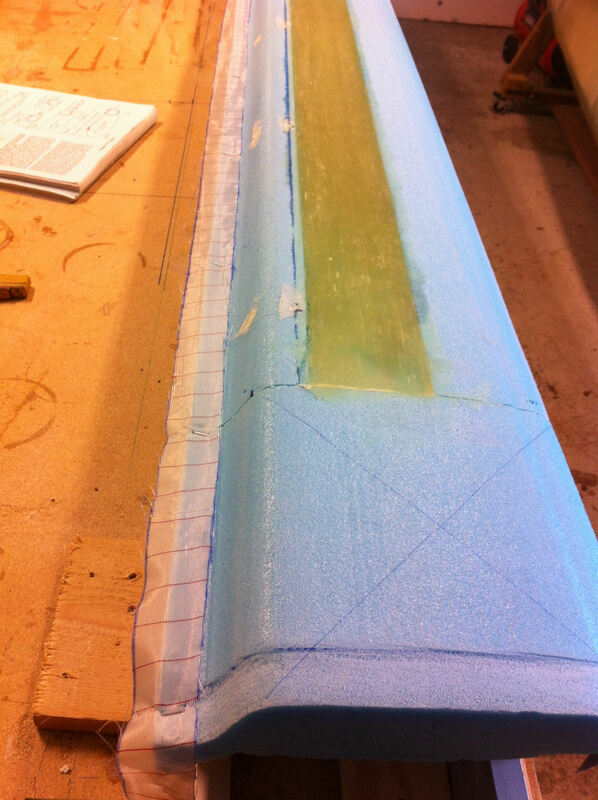 2012-05-21: Glassed the bottom skin according to plans. Peel-plied everything as usual. Very straightforward job. 2012-05-31: Removed the peel-ply, cut the glass at the top of the duct-tape of the leading edge and trimmed the trailing edge. 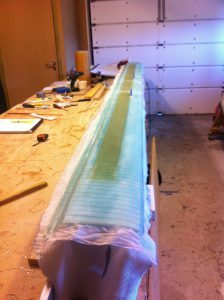 Sanded the trailing edge straight and sanded the edge of the glass on the leading edge down to make a smooth transition for the top glass skin.